Got my Series 1 figures last week! 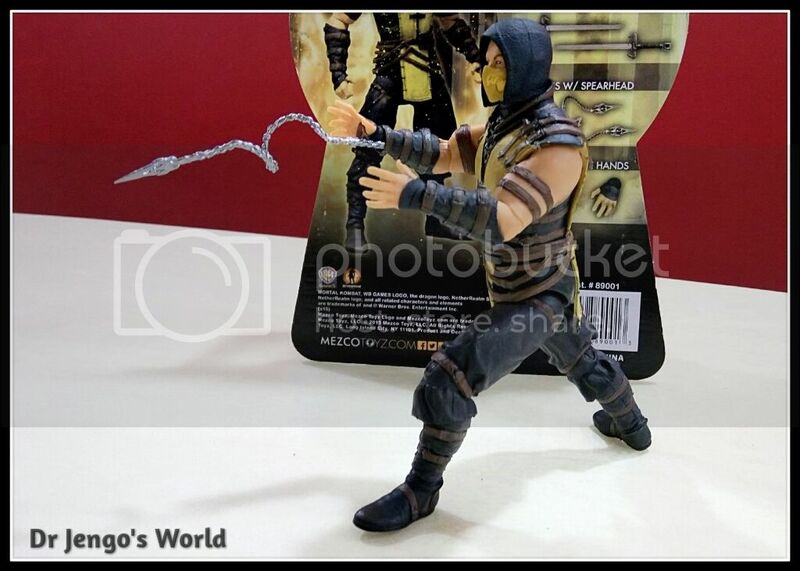 The first three figures are Scorpion, SubZero and Raiden. 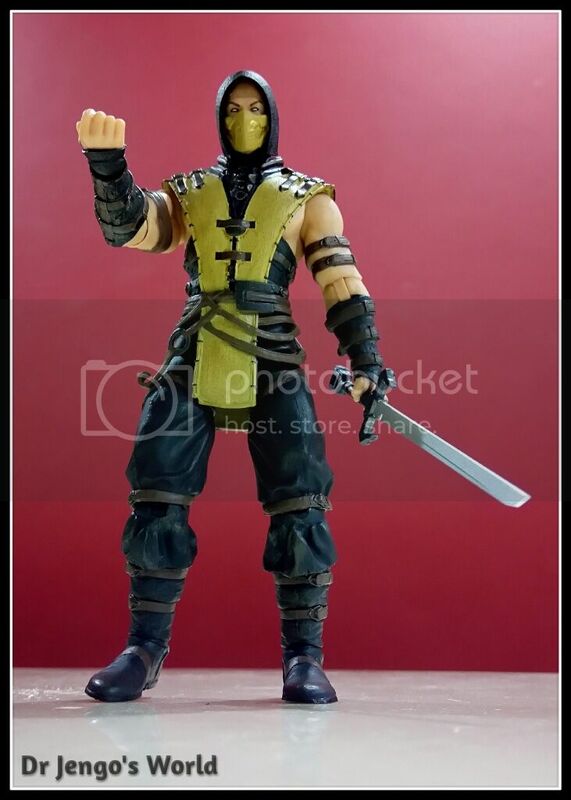 Scorpion is my favourite character, so I will show him off first.. 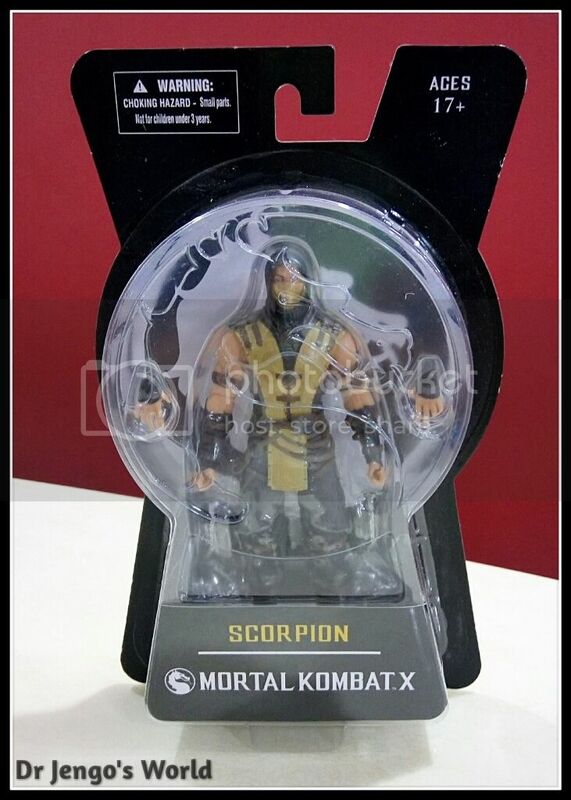 Unlike a lot of figure blisters, you can't see the figure very clearly because of the MK Dragon logo on the front. Not a huge concern for me, as I will be ripping it open. The back is pretty cool. Shows you the accessories it includes. 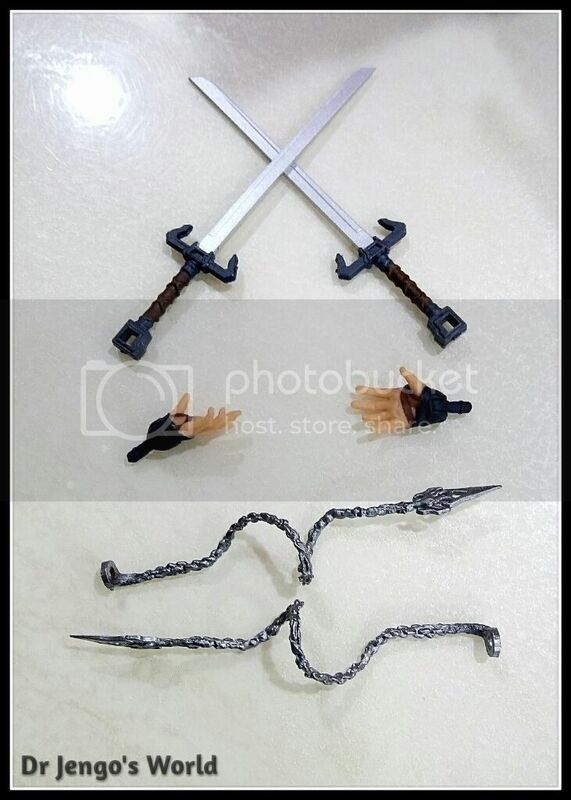 Comes in handy when you have so many accessories and forget which ones belong to which figure! Well.. let's get him out! Figure has a nice weight to him. 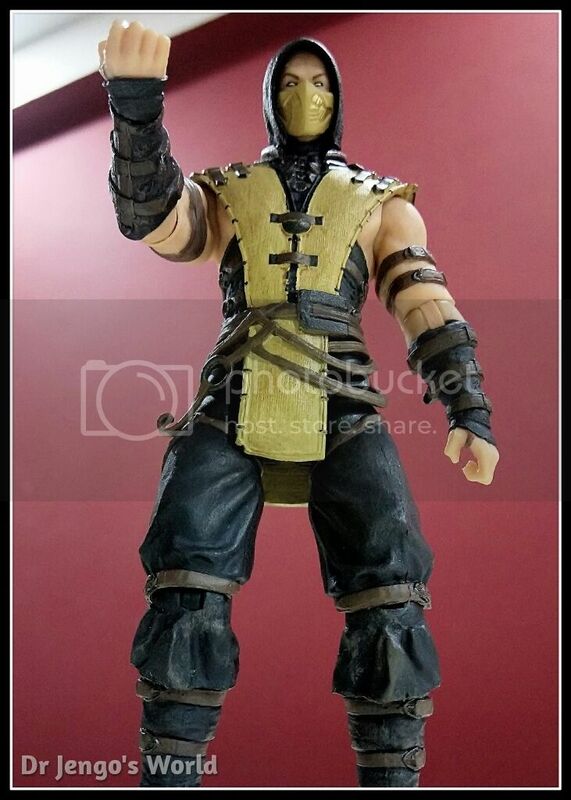 The sculpt on the outfit is good. 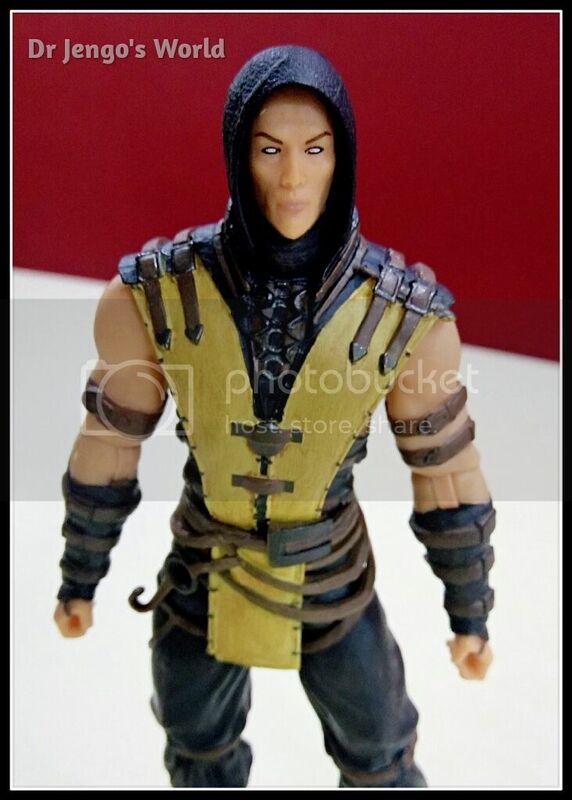 Face Sculpt is ok.. Not very wow but it was expected.. 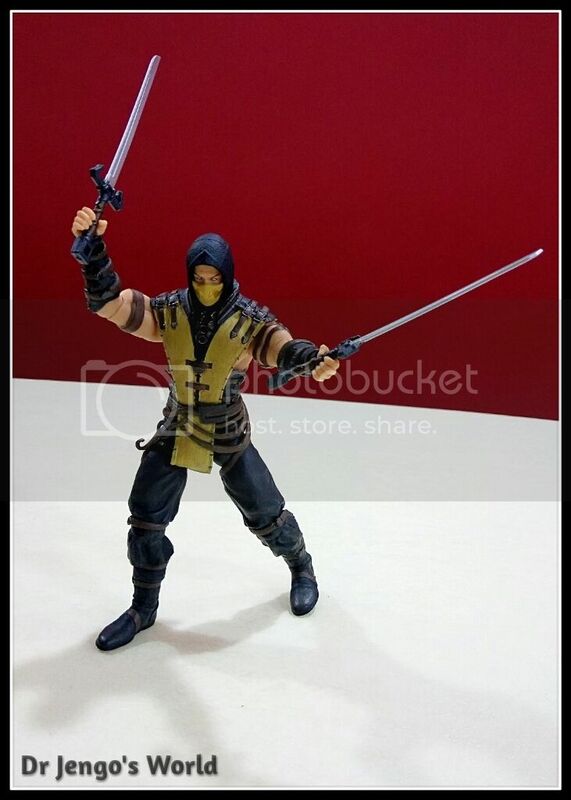 But my main gripe with the figure is this.. 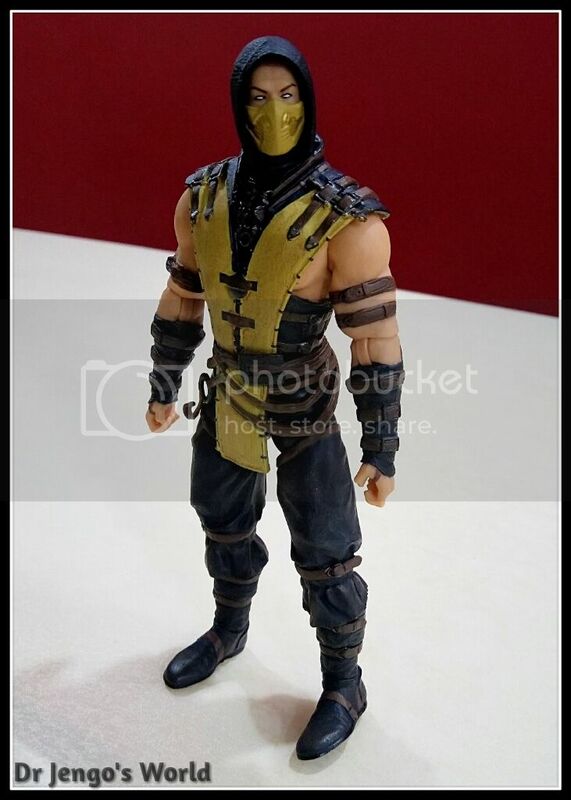 The mask is removable, which is a cool thing but what is this?! 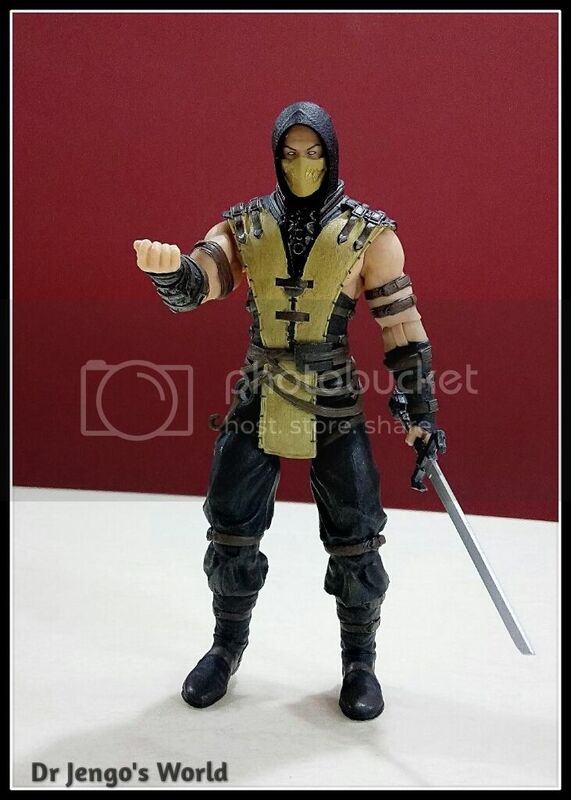 This is a MKX figure but this is not what Scorpion/Hanzo looks like under the mask. So, I'll be keeping the mask on at all times.. Problem is... 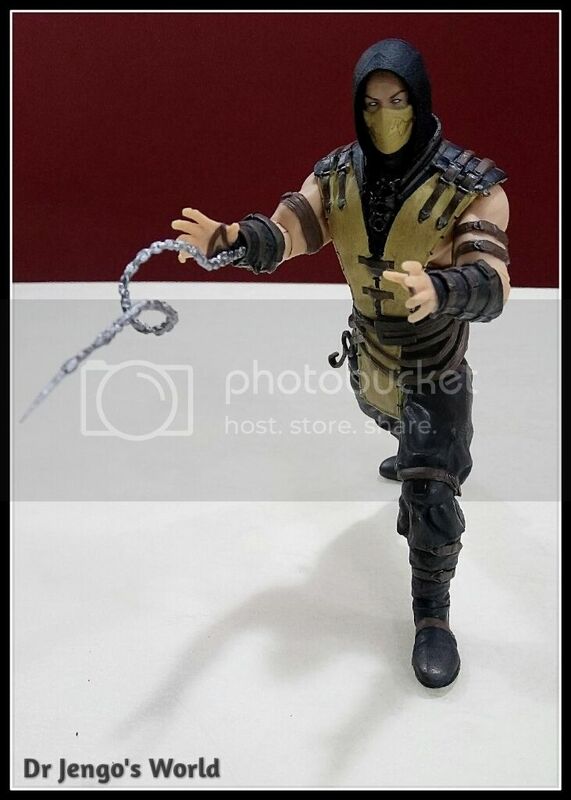 The mask is so loose, it always drops off. There's no peg to plug it in and it was so frustrating to take pics because it kept dropping. 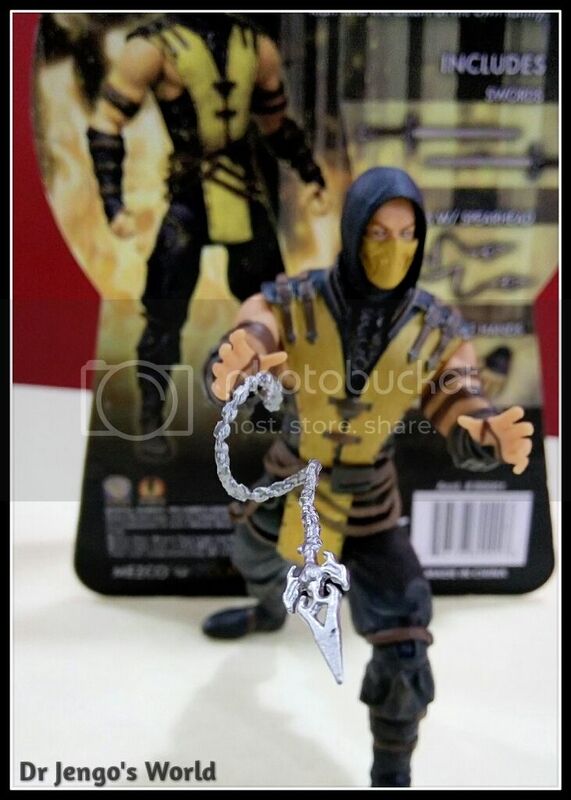 I'm not sure if this is a manufacturing defect on my piece or if it is the same for all the figures. 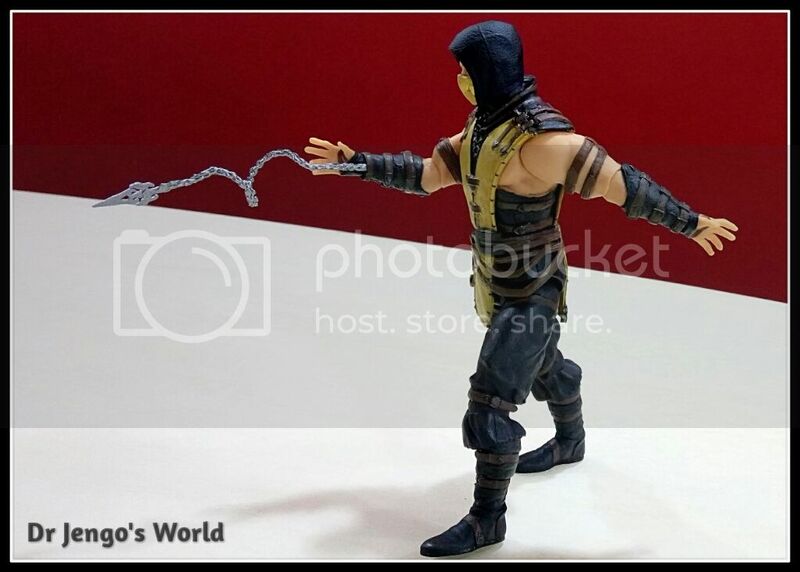 I'll probably glue it on, since I'm not going to display him without the mask. Moving on to the accessories..
Nice selection but what happened to that skull piece they previewed at all those conventions? It was like some kind of skull lamp.. Never understood the significance of that though so not missing it much. 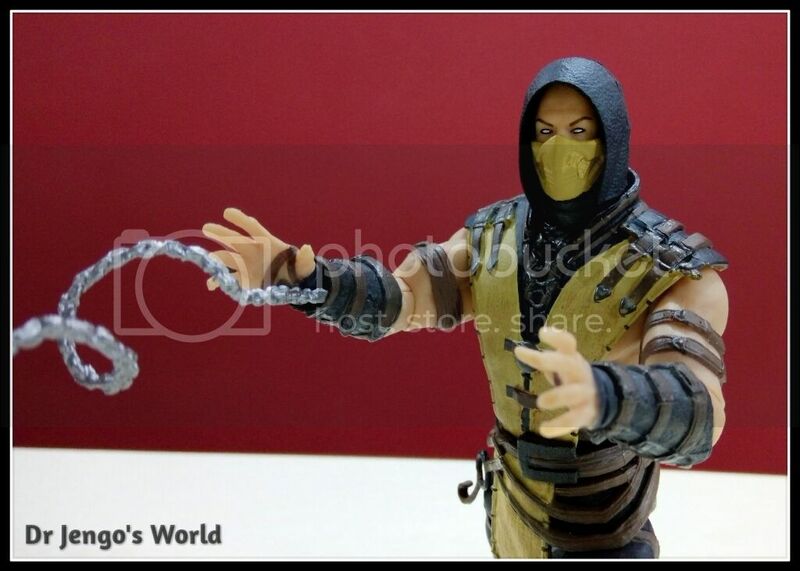 Some action shots to show off the articulation and accessories.. 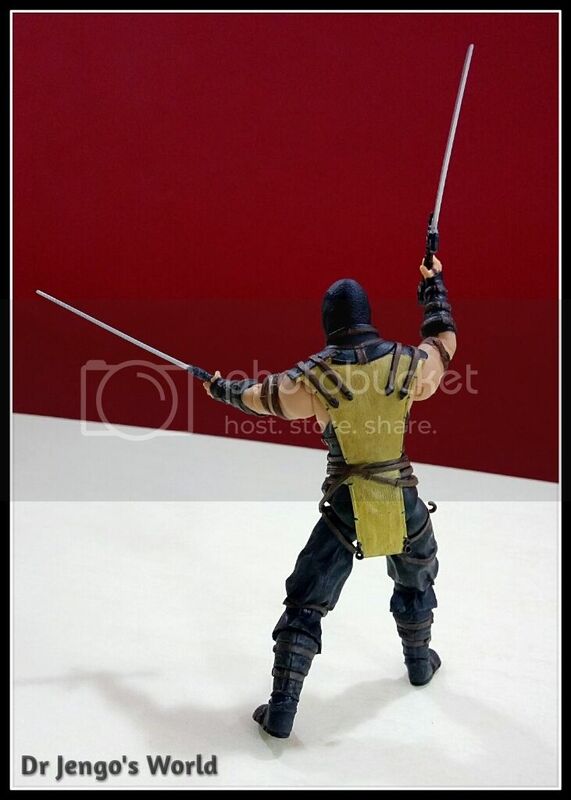 Overall, a very nice figure. 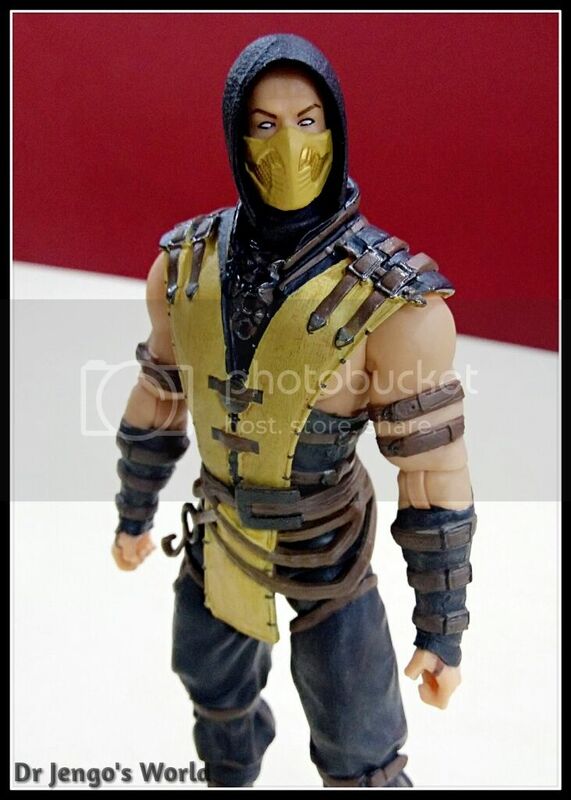 Mask colours are a bit off, should be more gold.. and face sculpt could be better. 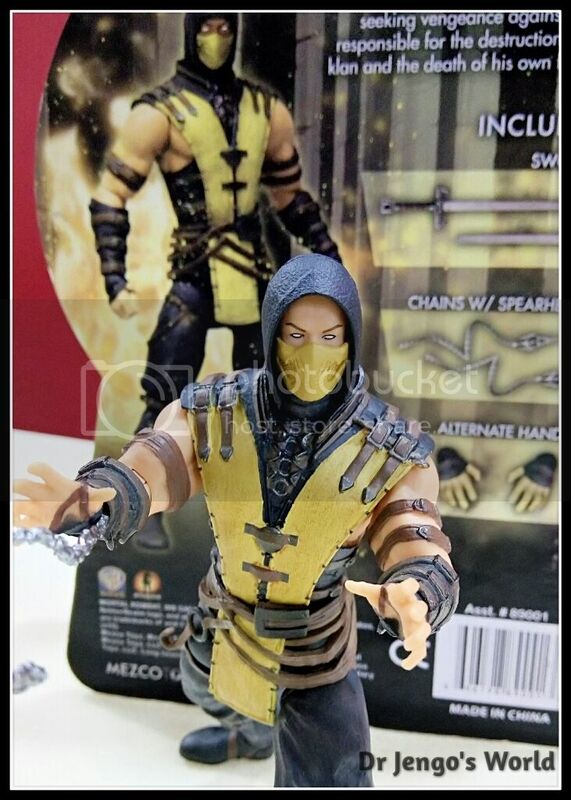 And apart from that dropping mask, I think this is a great figure for all Mortal Kombat fans. 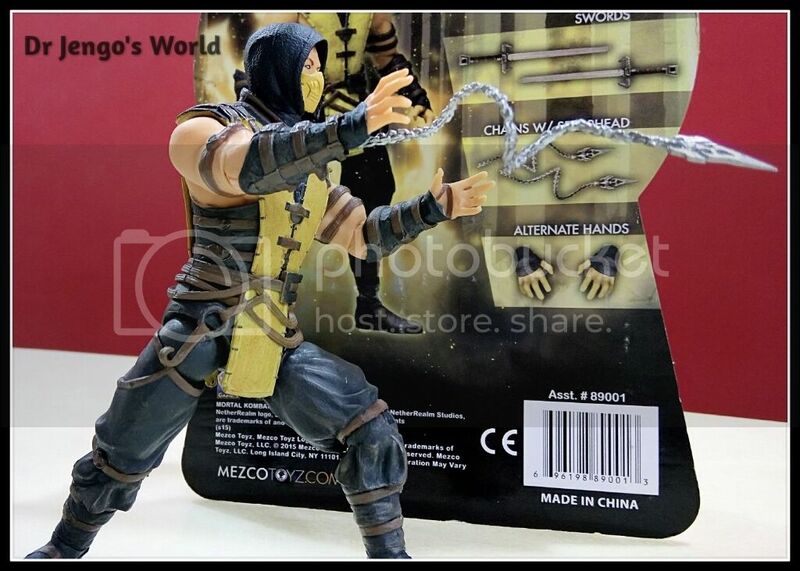 The weight and design makes it easy to stand and there's plenty of articulation to do some decent fighting poses. 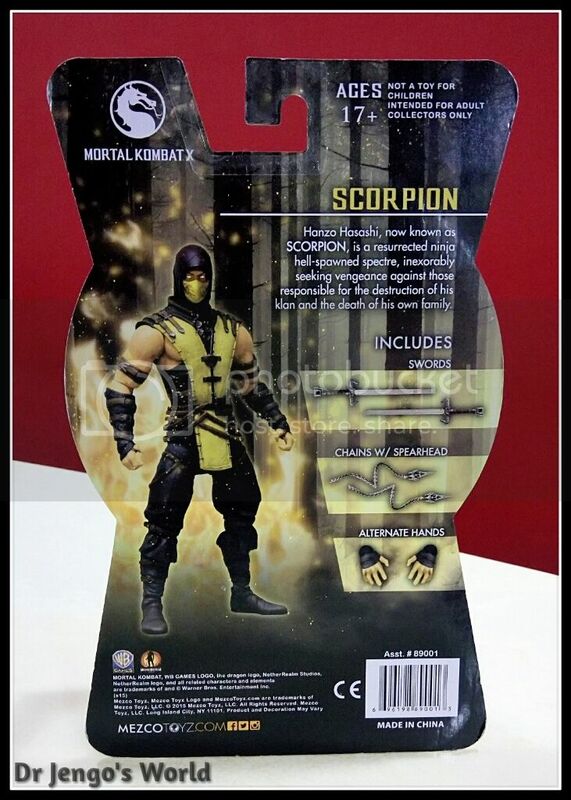 The essential accessories for Scorpion are also included. 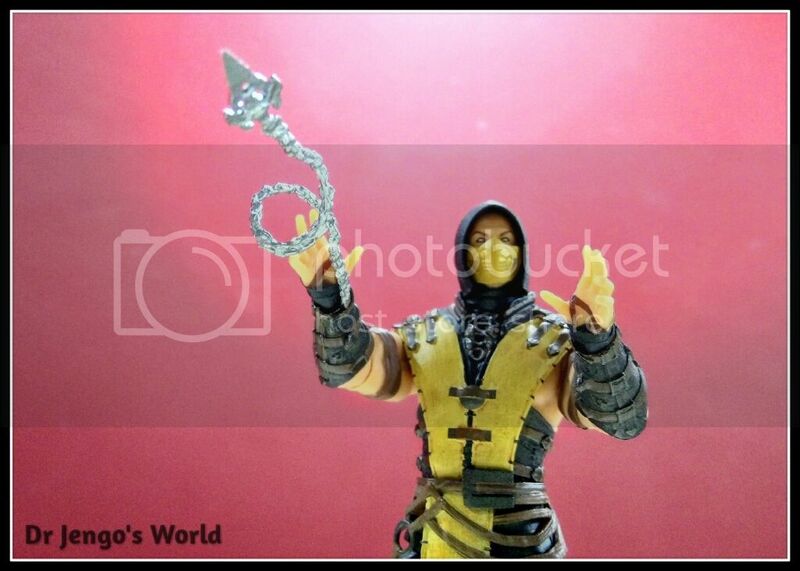 Scorpion's outfit looks damn good. 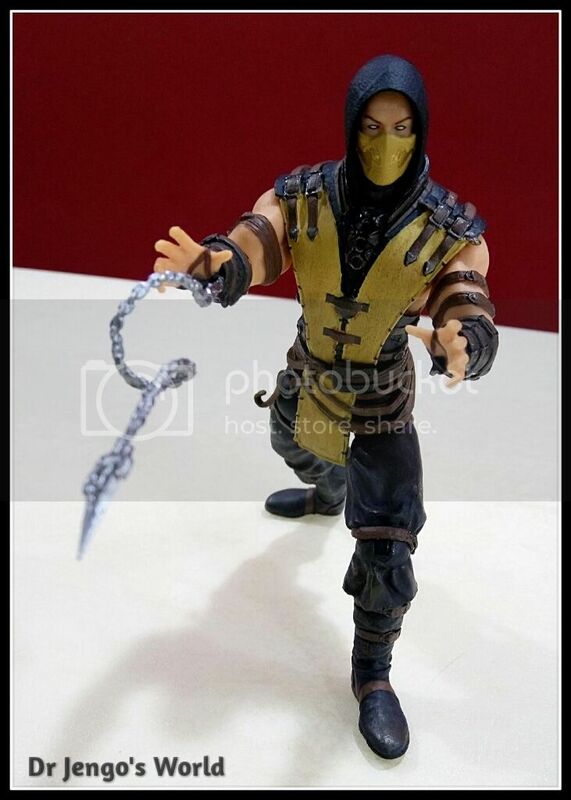 Toy Photographers will have a joy with this and if you have the skills to do some photo effects, this will be a amazing toy to have.